I packed 3 weeks in advance, researched the names I was not familiar with months earlier and designed my daily schedule over and over again, in the undeterred hope of seeing as much as possible during the 4 days of wide-ranging, top quality music bliss: this was how much I looked forward to returning to Tilburg (NL) for Roadburn 2013. 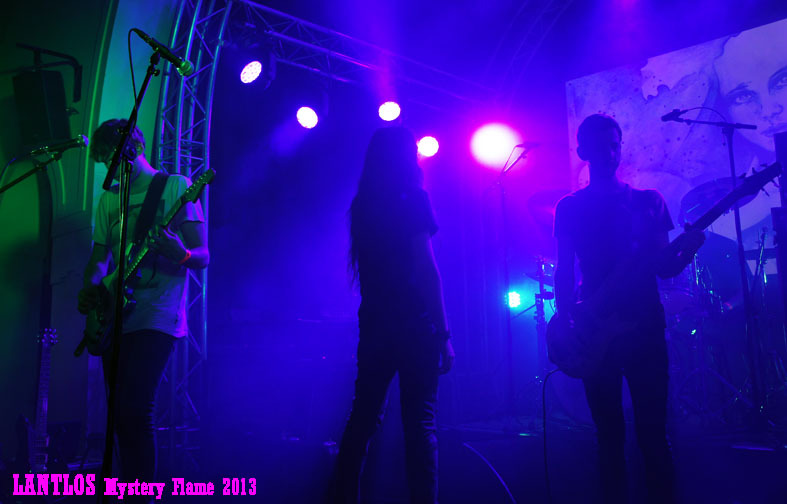 It has been a week already since this year's succesful anD fulfilling edition, but I shall keep my memories alive by focusing on my favorite experiences in short pills, starting from day one, Thursday 18th April 2013. 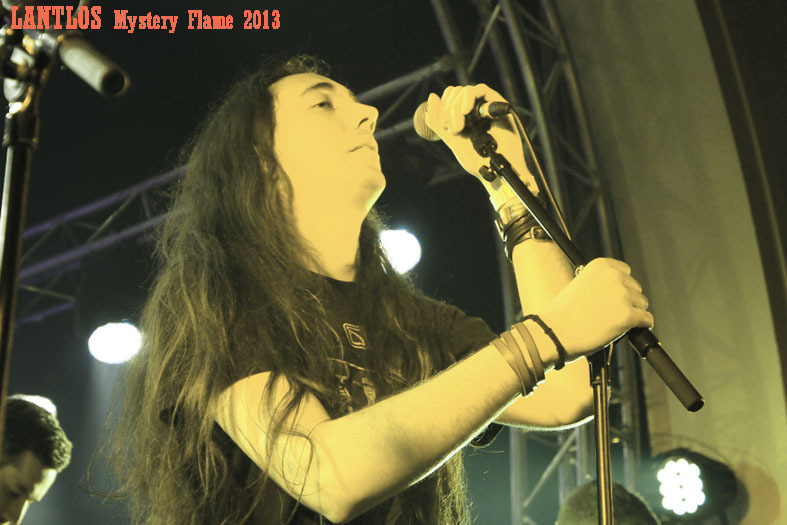 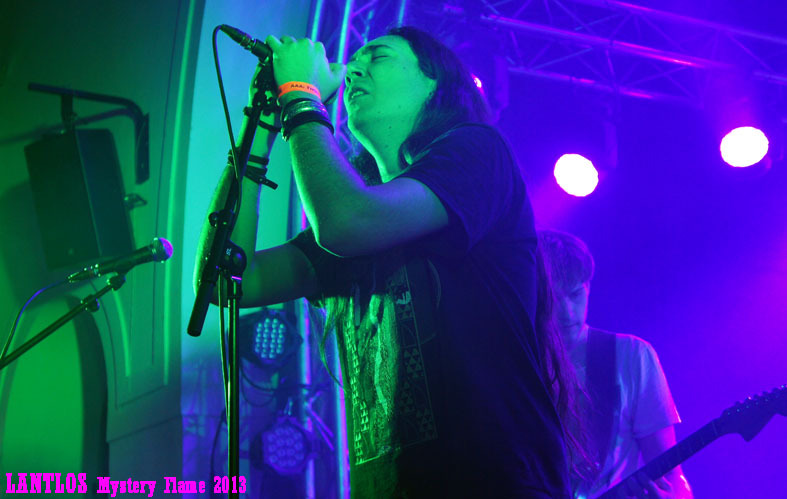 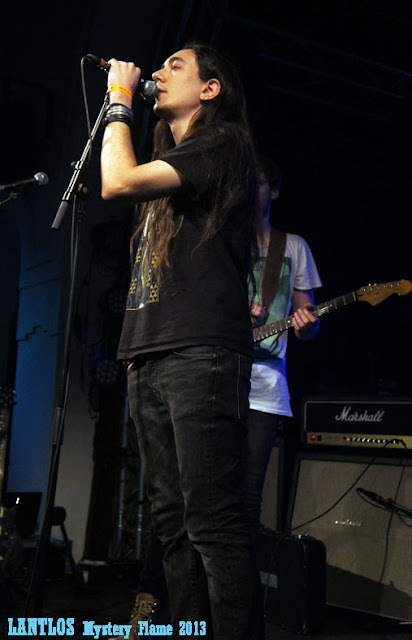 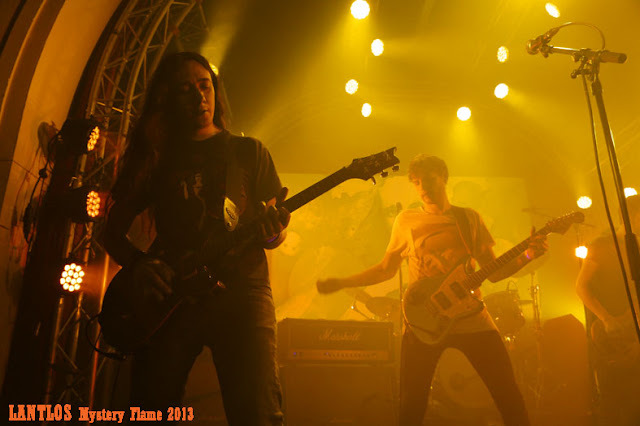 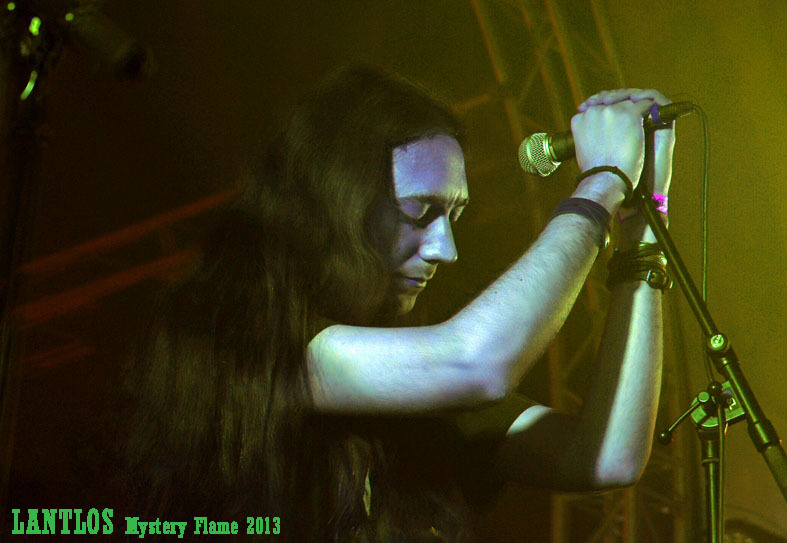 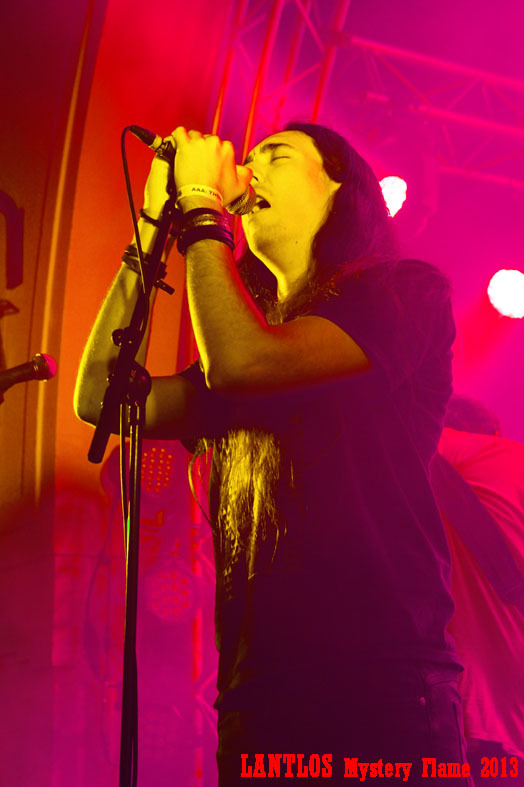 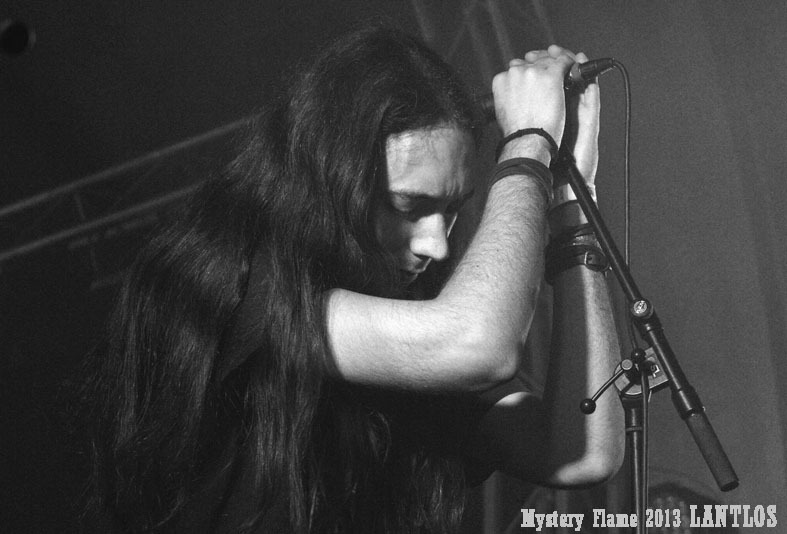 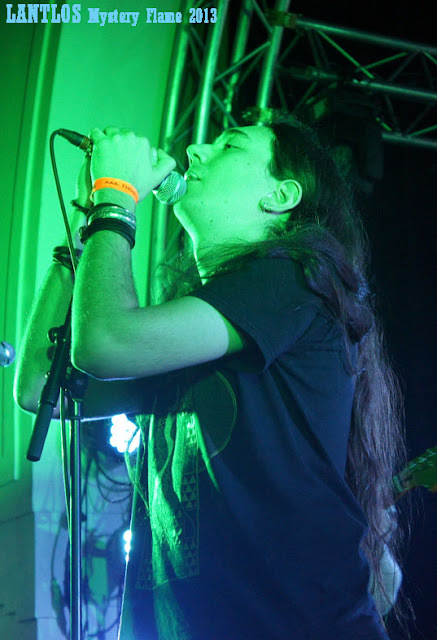 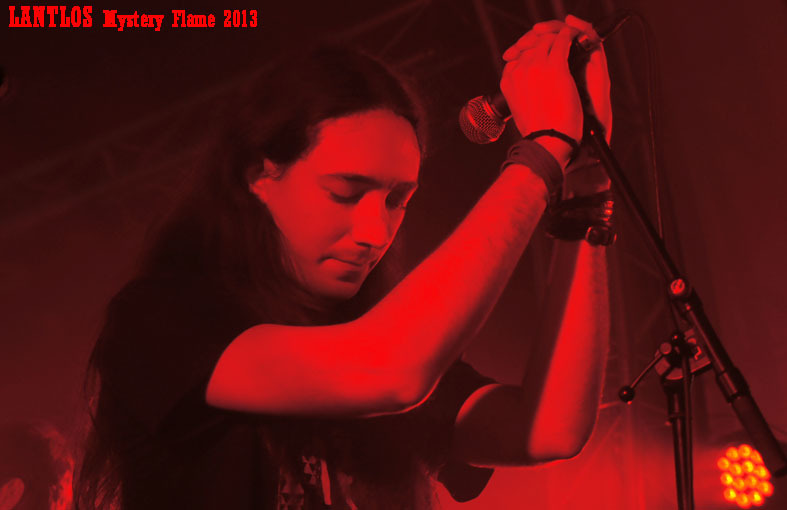 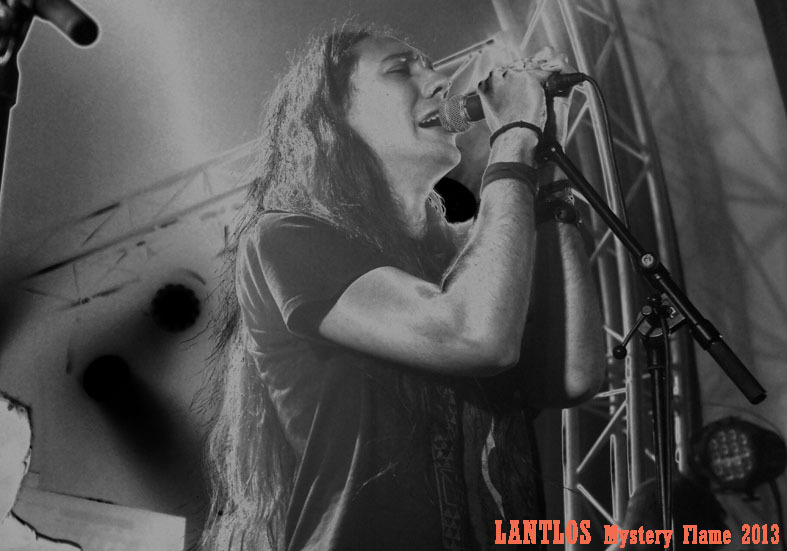 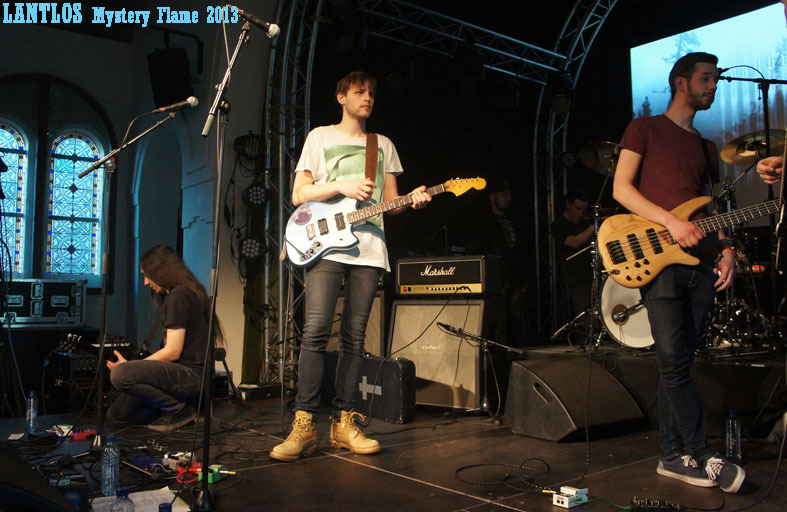 As part of this year’s “Artist in Residence” series, Alcest’s Neige was going to scream for the Germans. 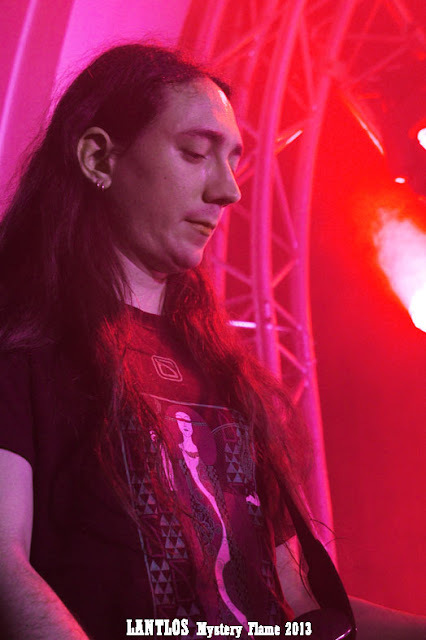 In spite of my well-known incompetence in remembering faces, it was easy to spot Herbst during the band’s brief sound-check, as he is blessed with the cutest face and sweetest smile. 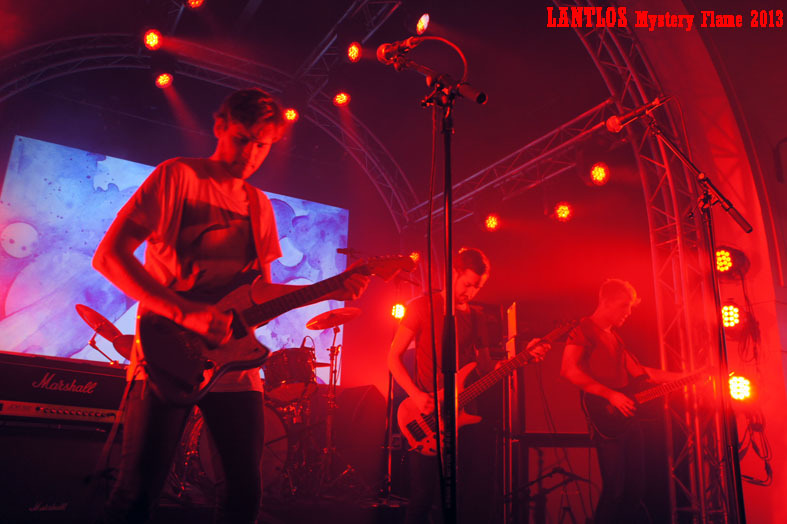 The young lads stood out, especially in this type of environment where everybody proudly sports their favorite metal insignia, because they chose to turn out as themselves, short-haired and dressed plainly, looking like your average clean-cut, well-to-do student. They were obviously not interested in dressing up just to fit in. 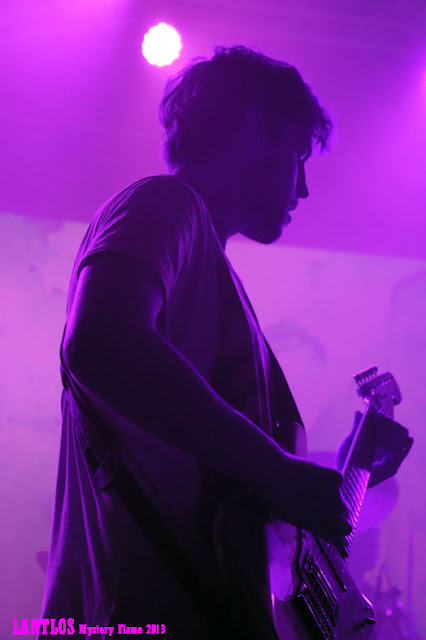 I appreciated the honest attitude, as the quality of the music always prevails even on the most accurate and cool look; besides, the atmospheric lighting helped recreating the intense mood sought by their music. 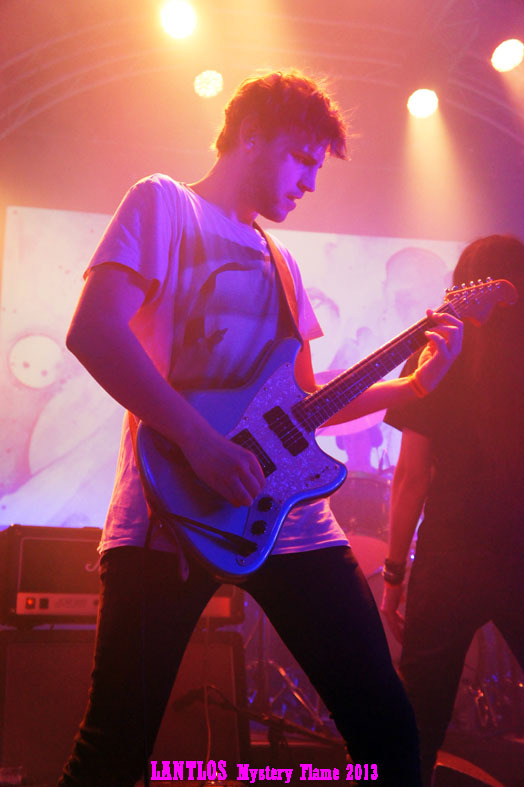 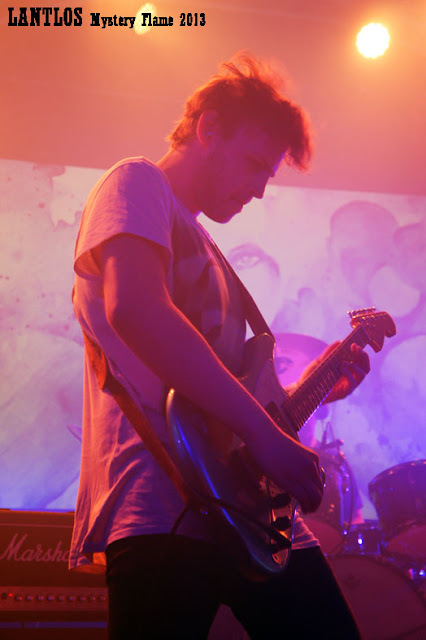 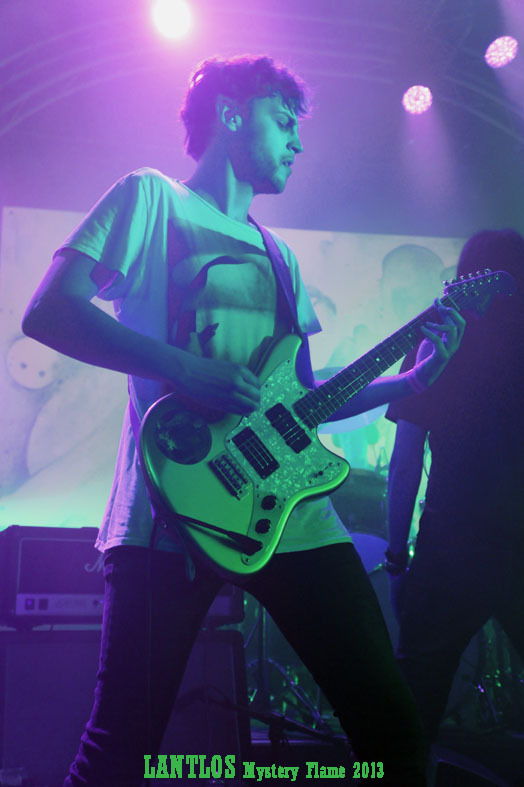 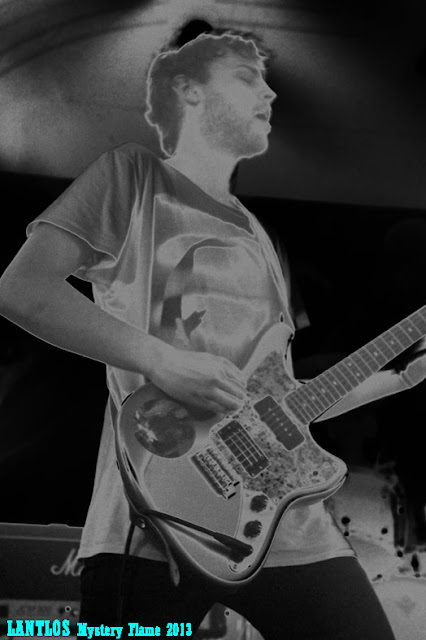 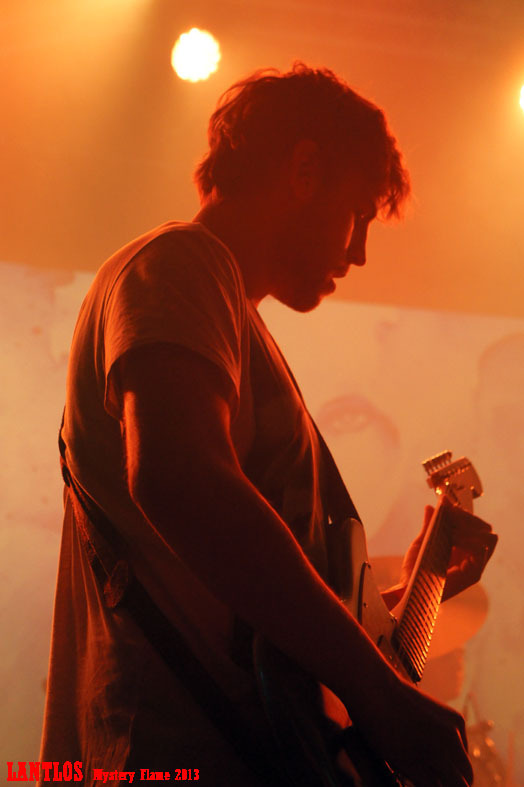 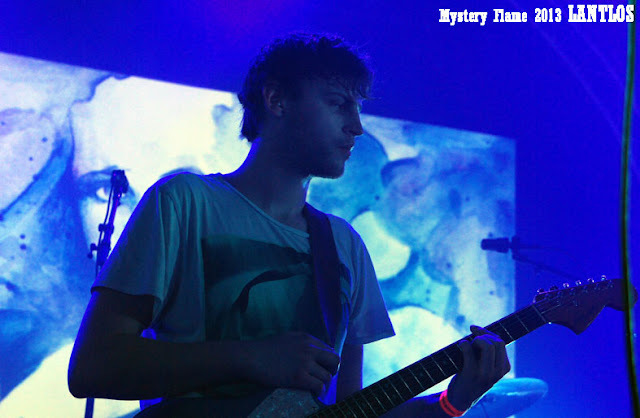 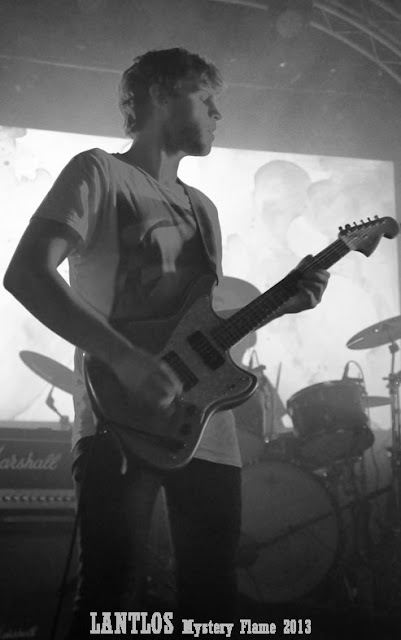 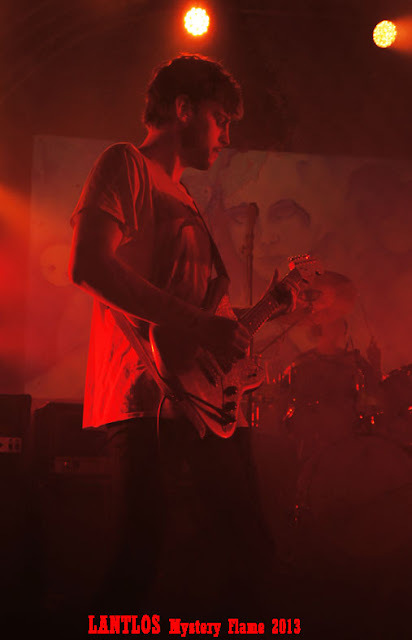 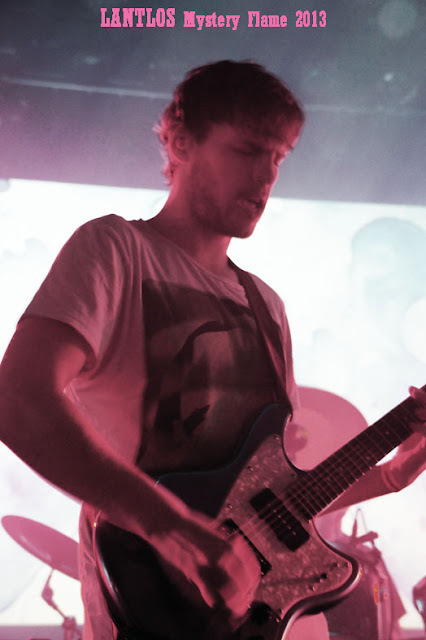 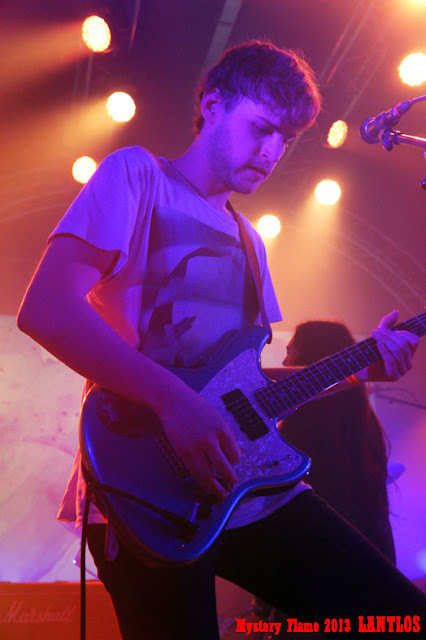 It was quite noticeable that the band is not accustomed to playing live, yet Neige’s relaxed and experienced presence helped them to calm their nerves and the close, warm friendship that ties these musicians was evident and lovely to see. 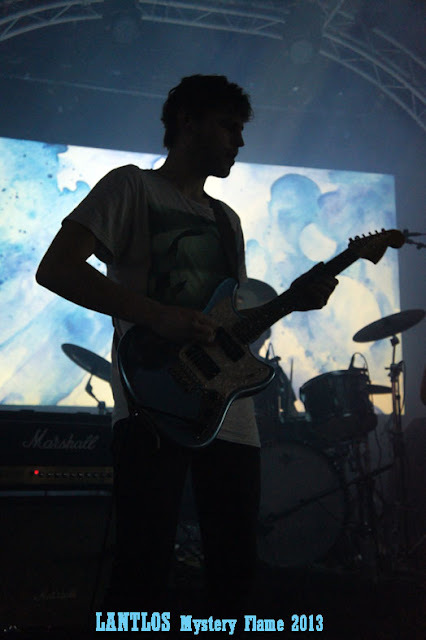 The set flew by all too quickly. Surprisingly, in my imagination I rarely saw cold and pale urban neon lights hovering over Lantlôs’ music, but often flashes of sun rays, and it worked for me. There were more than a few vivid moments when the songwriting talent of Herbst truly stood out, making me wonder whether his music could grow into a superb progressive rock entity (I am thinking King Crimson school), if he ever chose to dedicate his life to music, but somehow it feels as if it is only one aspect of his young lives. 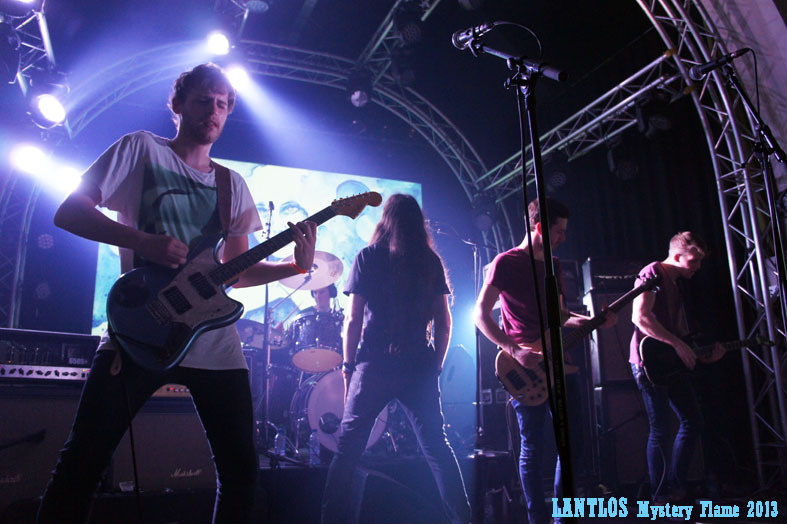 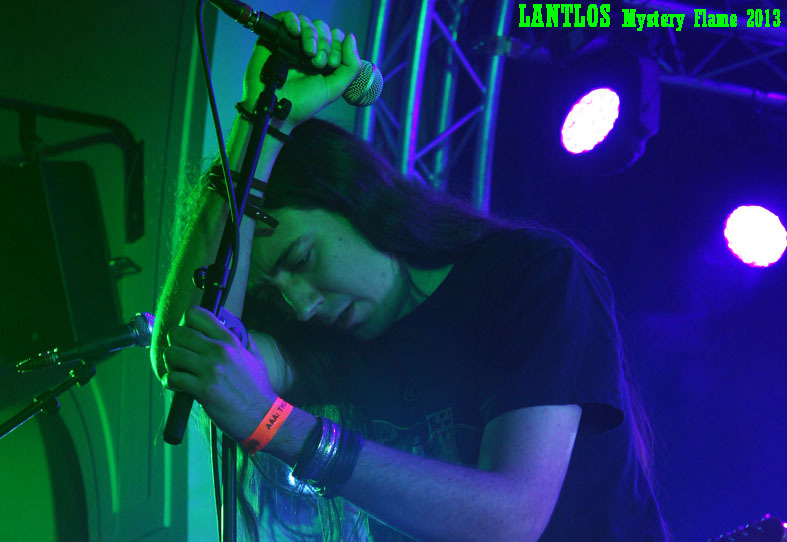 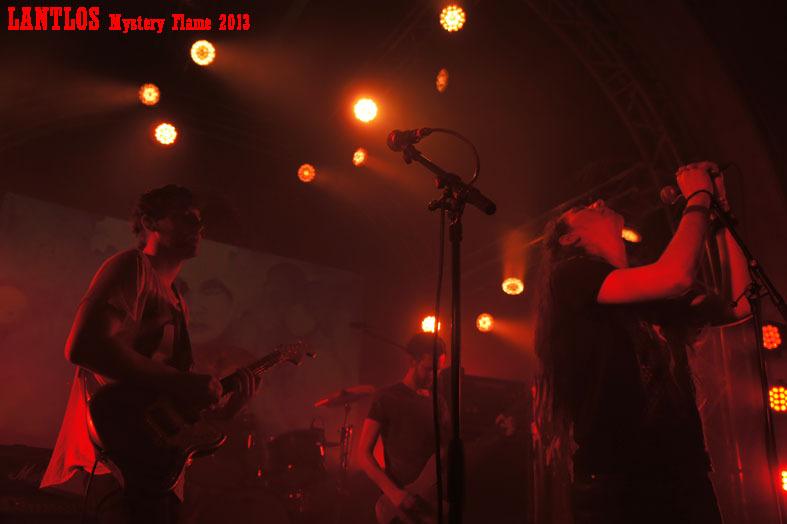 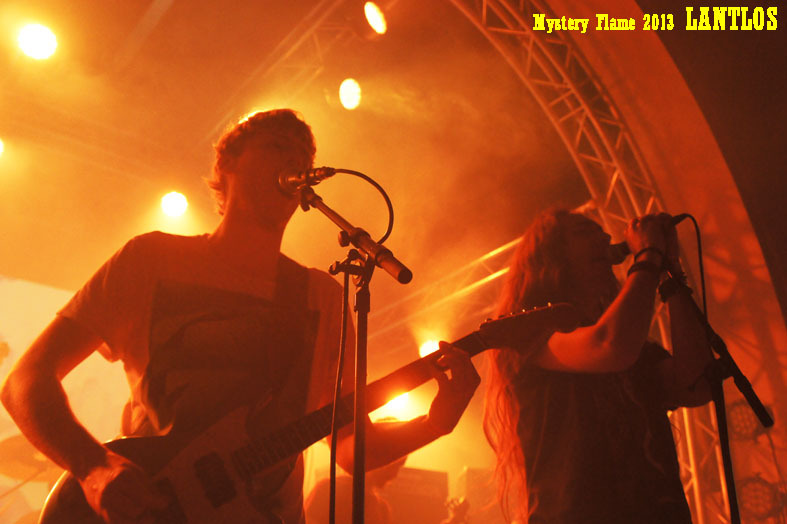 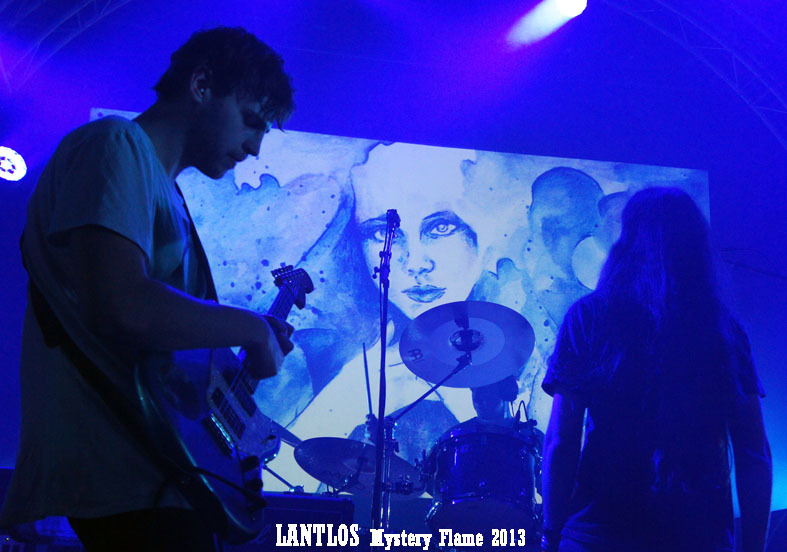 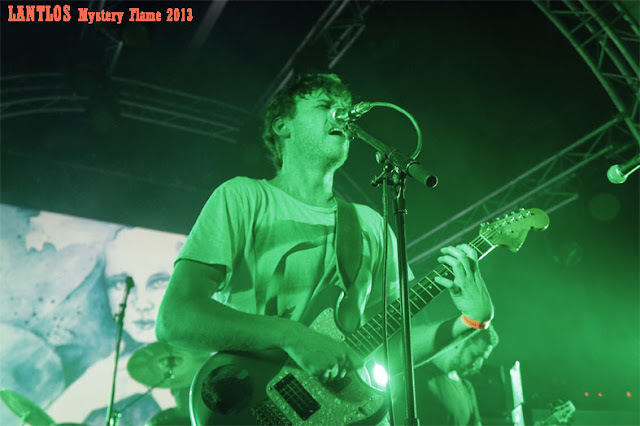 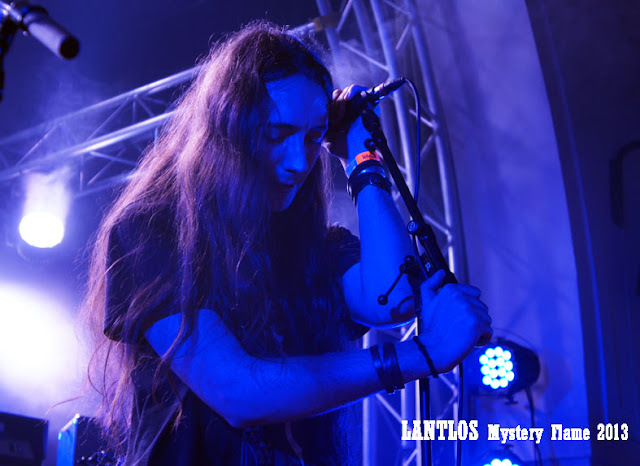 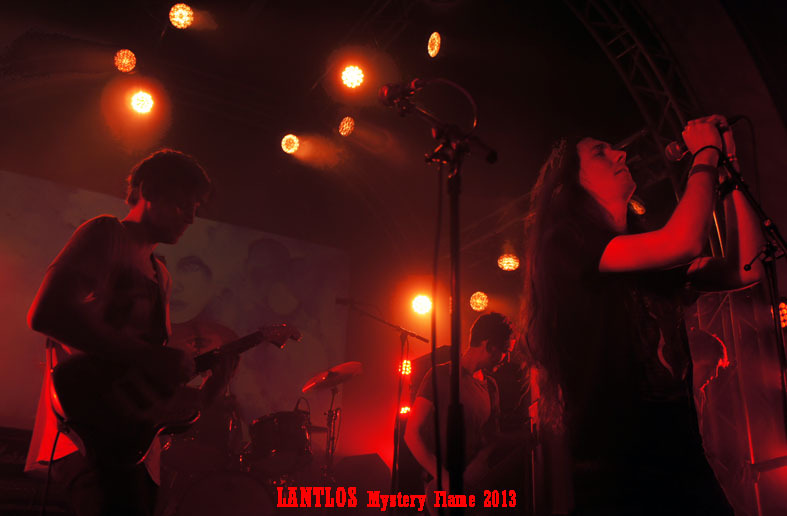 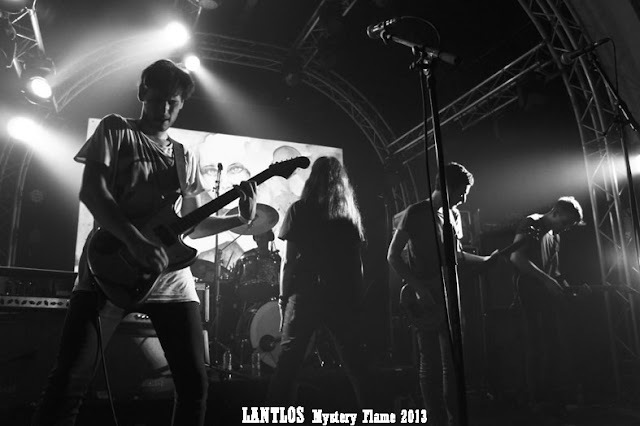 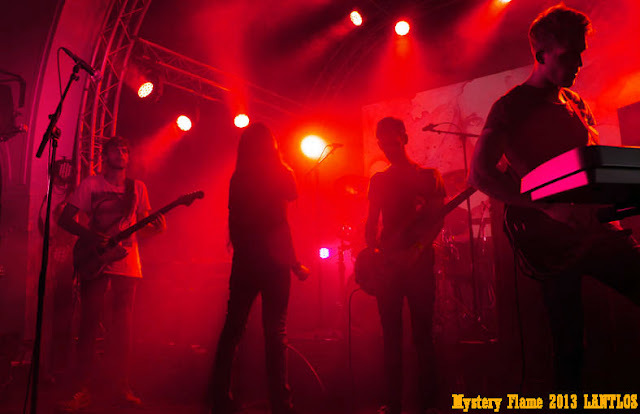 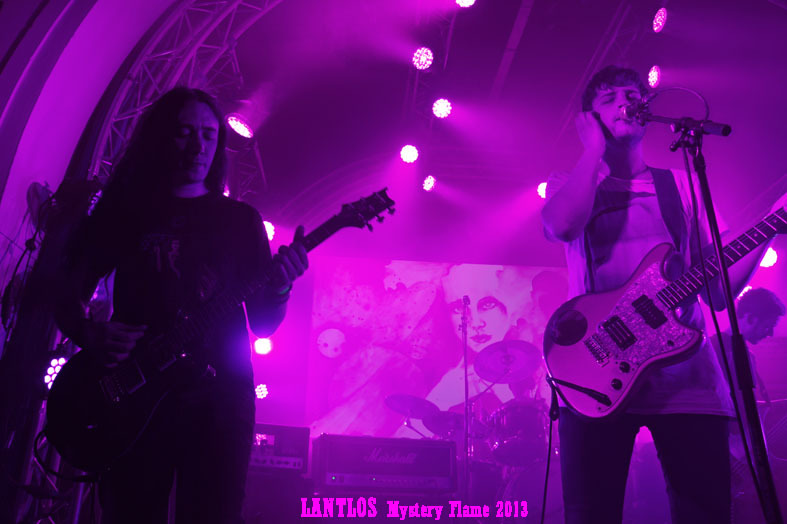 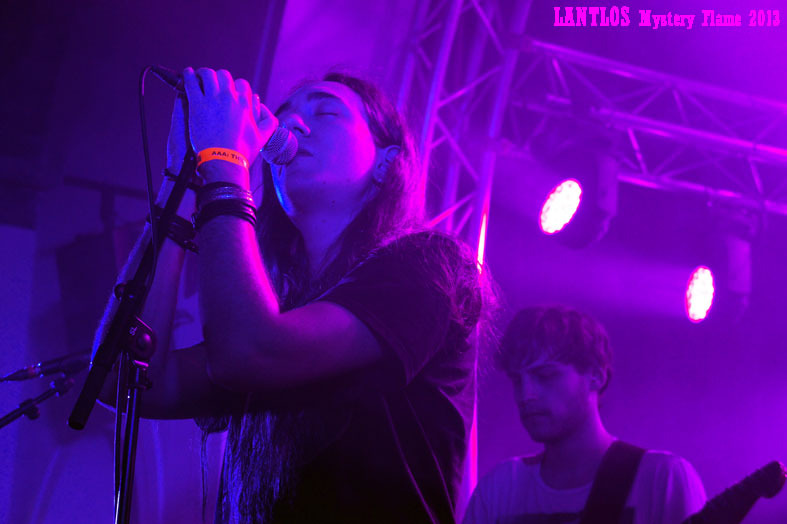 I hope Lantlôs enjoyed their Roadburn, and I look forward to the new album, which could bear a few surprises.